Hey PhonePe users and Non PhonePe users per se!!! There was a time when Paytm was famous for cashbacks, then came the era of Tez (known as Google Pay nowadays) and now PhonePe and Paypal are the leading entities with abundant deals and offers. 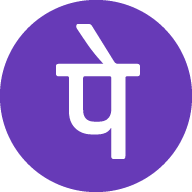 PhonePe is giving cashback or discount or other offers in every field nowadays. We are here to tell you one more offer from PhonePe. If you like Ovenstory, you can buy 1 & get 1 free Pizza on no minimum order with PhonePe. Keep reading to get the Ovenstory coupon for BOGO. How to buy 1 & get 1 free Pizza on no minimum order with PhonePe? 1. First of all, Download PhonePe App – Android | iOS. Deal of the day!!! Get flat 100% cashback on eyeglasses & sunglasses via Paytm/Freecharge on coolwinks i.e. your eyeglasses and sunglasses are practically free. You can order high priced products also and get this amazing discount on them as well so you have to pay just a minimal amount on them. Currently, Paytm & Amazon Pay are offering 100% cashback and PhonePe & Freecharge are offering 50% cashback. 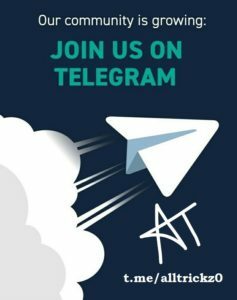 Read on to know all the details. Note – Customers who have previously availed the offer are not eligible. How to get 100% Cashback on eyeglasses & sunglasses? 1. 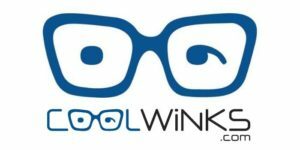 First of all, visit coolwinks website. Cook didn’t come or not in mood of home cooked food? How about a discounted meal at McDonald’s? Visit your nearest McDonald’s outlet and get flat 50% cashback (upto Rs 50) on McDonald’s order via PhonePe. How to get flat 50% cashback (upto Rs 50) on McDonald’s order? 1. Visit your nearest McDonald’s outlet. Had a medical checkup recently or up for refill of medicines for you or your family members? We know how costly can medicines get. Therefore, here is an offer for you. Get flat Rs 75 cashback on first ever transaction at Apollo Pharmacy outlets with minimum order value of Rs 150. How to Get flat Rs 75 cashback on first ever transaction at Apollo Pharmacy outlets? 1. Visit your nearest Apollo Pharmacy outlet. Hey PhonePe users and Non PhonePe users per se!!! PhonePe is luring out users to use their service ever since they put theri foot in the market with dozens of offers launched everyday. 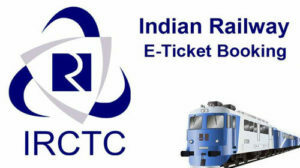 Looking to buy a Train ticket? PhonePe gives you an offer their as well. Get flat Rs 50 cashback on first ever train booking worth min Rs 100 via PhonePe. How to Get Flat Rs 50 cashback on first ever train booking worth min Rs 100 via PhonePe? Book flight tickets on Easemytrip and get unbelievable discount. PhonePe in association with easemytrip has an offer for you. Get Rs 400 off on One Way & Rs 600 on Round Trip Flight booking with Min booking of Rs 3500. 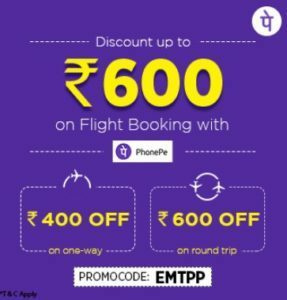 How to Get Rs 400 off on One Way & Rs 600 on Round Trip Flight booking with PhonePe? 1. First of all, go to EaseMyTrip. With providing cashbacks on every petrol transaction, PhonePe became a real life savior & now it has come up with an offer on metro card recharges. Get Rs 75 Cashback on Delhi Metro Smart Card recharge worth Rs 100 or more. How to Get Rs 75 Cashback on Delhi Metro Smart Card recharge worth Rs 100 or more?